Total $4.00 plus receive $2.00 ECBs making them only $2 or $1 each after coupon and ECB! 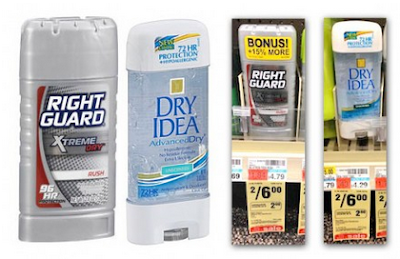 CVS: Speed Stick Gear Deodorant $10 ECB Buy Idea! Best Buy: iPad Air's from $299 - $349! Target: Divergent DVD only $3 with Printable! Rite Aid: School Supplies Buy 1, Get 2 FREE! Snapple 64 oz. Bottles $1/2 Printable Coupon!